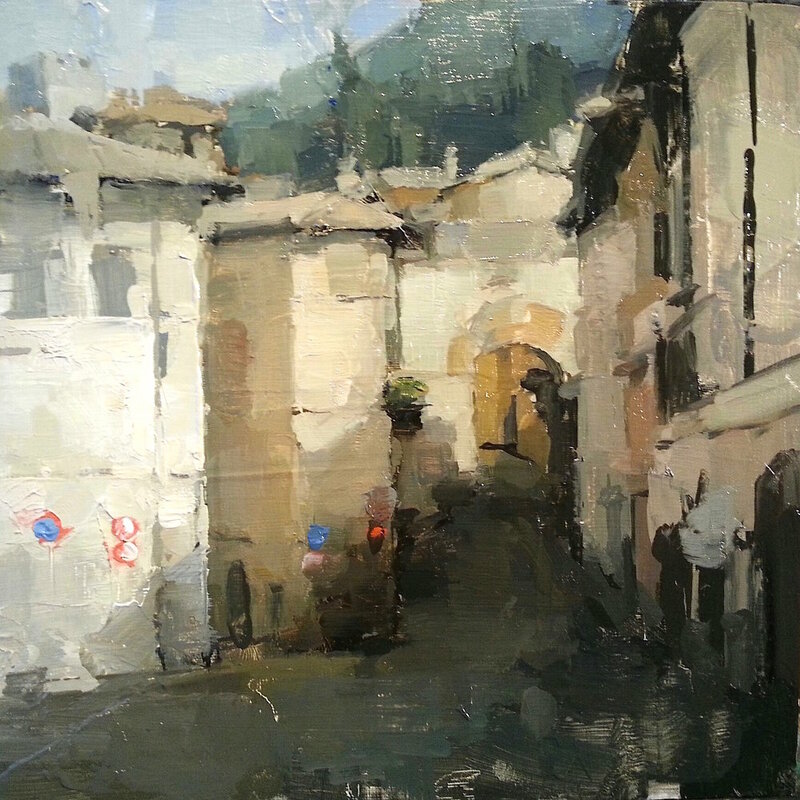 First half of our Italy PleinAir workshop will take place in the magical, medieval hilltop town of Corciano, the second half will be in the famous Northern town of Varenna, Lake Como. Workshop participants will join James as they explore the medieval hilltop towns of Perugia, Corciano and San Gimignano, with a group trip halfway through to the travel destination of Lucca. 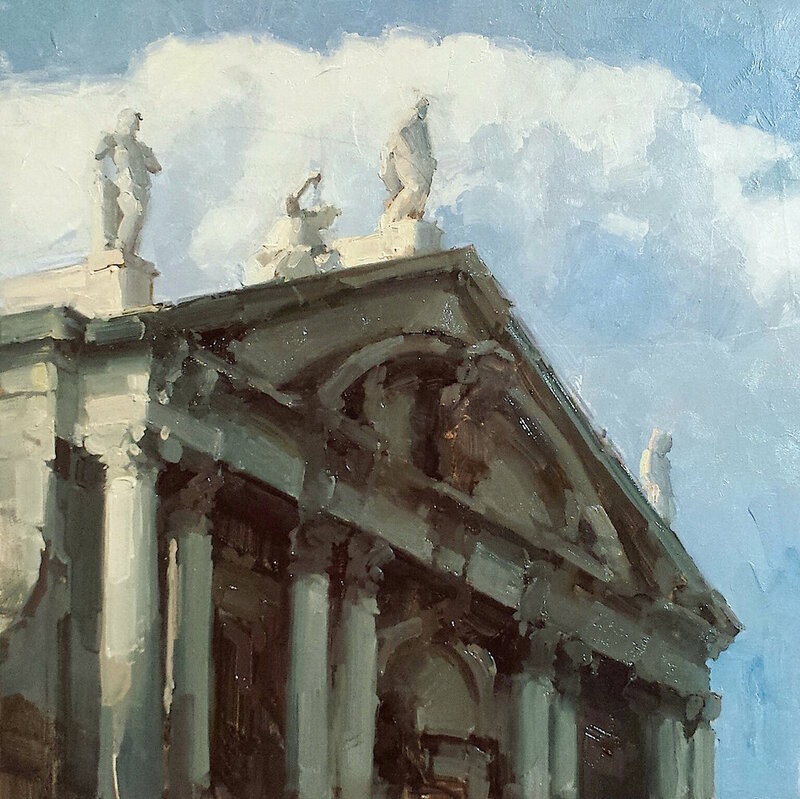 Artists will have 8 days of painting which includes four days in Umbria, 4 days in Lake Como, and a 2 day group trip halfway through to visit Lucca and tour the Carrarra Marble Quarries. 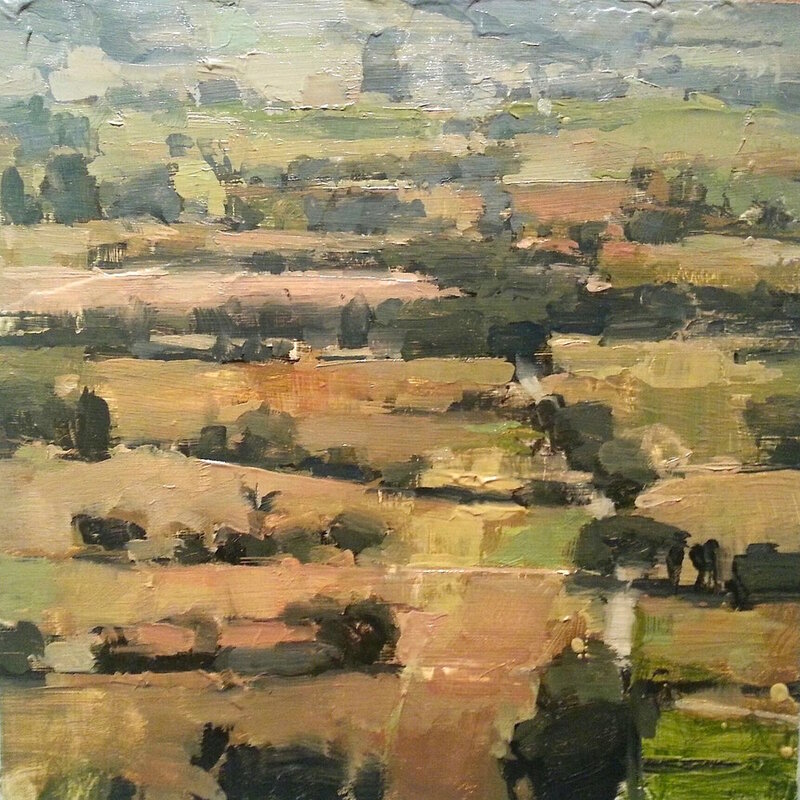 James will do 3 demos from start to finish and share valuable pleinair instruction. Limited to 10 artists in the class, all skill levels are welcome. Family and friends are welcome too. 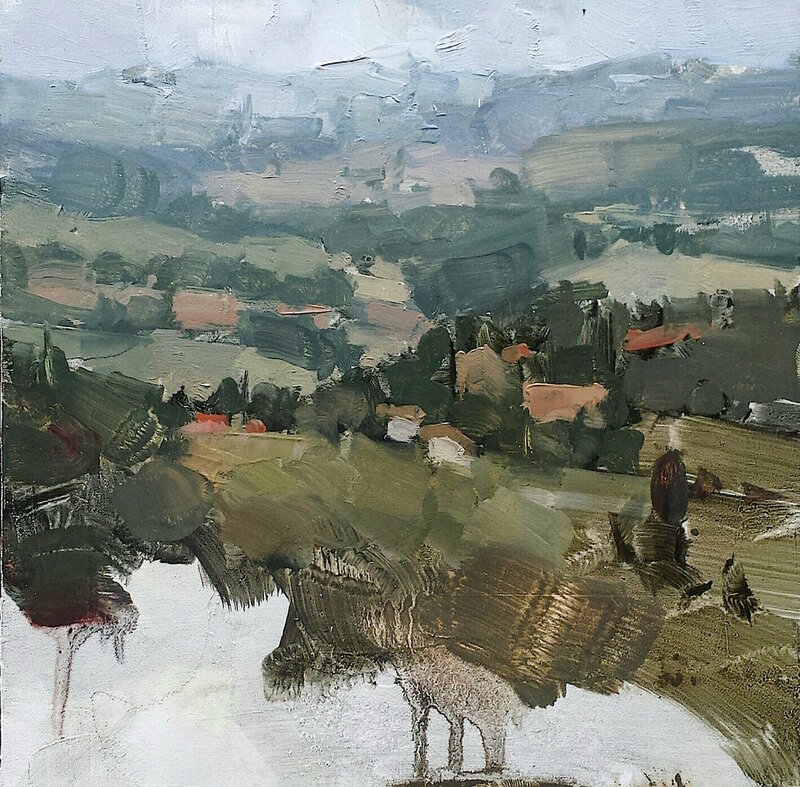 Pleinair in Italy, 2 weeks! You don't have to worry about the phone, or your emails. Just focus on your painting and the beauty of Italy. PleinAir gives one the ability to focus which is what the artist needs to understand their work and get into the mode of creative response. Transportation while in Italy will be included in the program. Participants will arrive in Italy on Aug 4, 2019 at the Rome Airport. This workshop will conclude on Aug 16, 2019 with departures out of the Milan Airport. Upon arrival in Rome, workshop participants will travel by van to the beautiful central region of Italy, staying in a charming 14th century medieval hilltop town of Corciano. Corciano has a monestary surrounded by an olive grove, restaurants and a cafe in the piazza. The winding stone streets weave up and around the small town with suprises around each corner. Surrounded by the countryside one can hear the church bells and birds. It is a very quite and magical place perfect to study pleinair. Midway through the workshop, participants will take 3 days / 3 nights to travel in Tuscany seeing the historical cities of San Gimignano and Lucca before heading to Varenna in Lake Como for the second half. 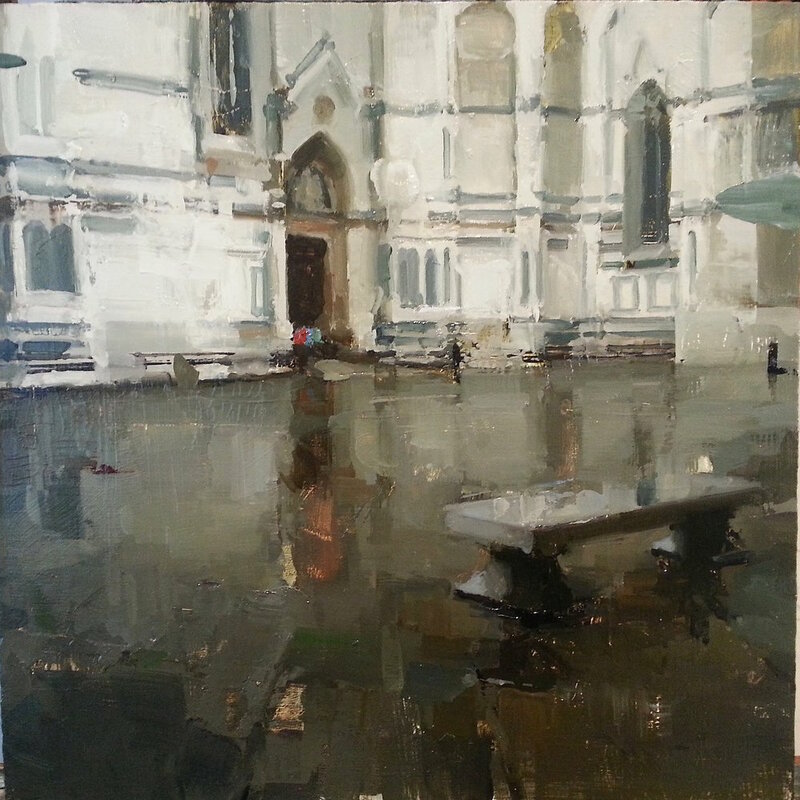 Visits will include one day of painting in San Gimignano and a tour of Lucca. 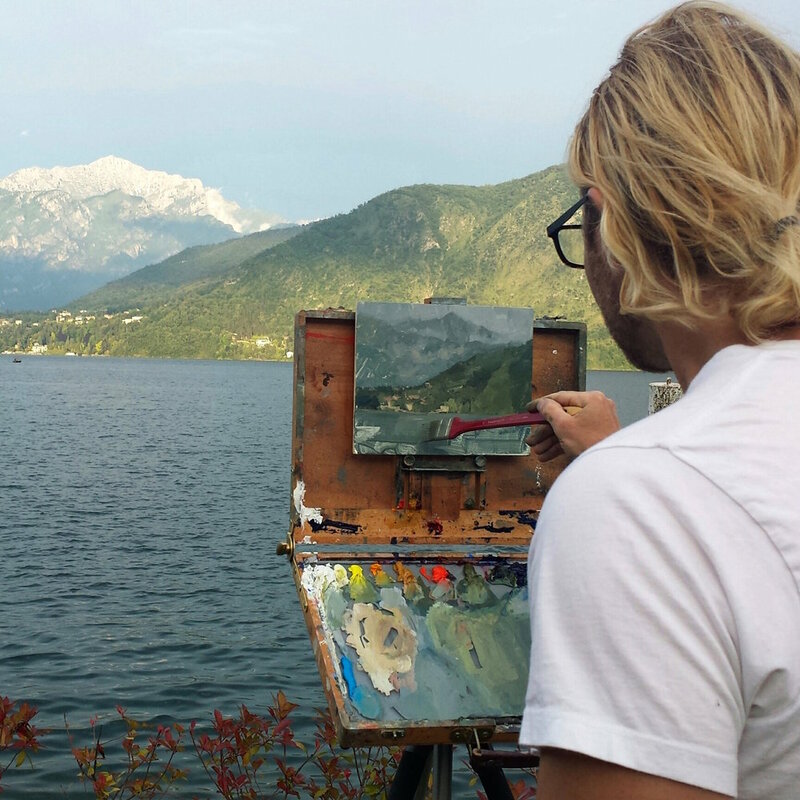 The program will continue with 4 days of painting in the beautiful region of Varenna in Lake Como. Each morning participants will meet for breakfast and then head out to one of many locations we have on our itinerary for a day of pleinair painting. All lodging while in Italy, Includes 3 star hotels in travel destinations and apartments/villas in Corciano, San Gimignano, Lucca and Lake Como.